I have been long since I have blogged. Sorry for being away. I think I am the laziest person in this world. Today I have something to share with you guys. Hope you all know about Xamarin, Xamarin is a cross platform mobile application development tool, Which lets you create applications for major platforms such as iOS, Android and Windows Phone. I will be blogging about developing cross platform application using Xamarin. So this tool is sooooooo costly that we students, or startup can’t afford. Wait, But what if they want you to develop something great? Yea.. Xamarin is free for students, you can apply for a Students license which will let you develop iOS, Android application using Visual Studio or Xamarin Studio. 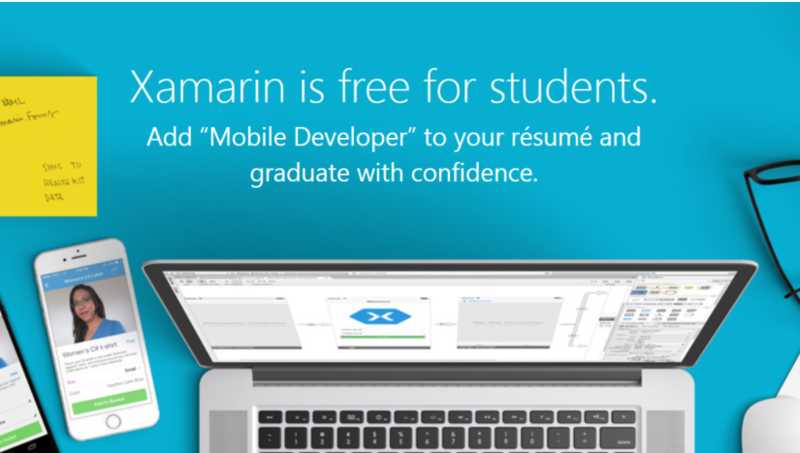 It is very easy to apply for Xamarin Student License. Just mail your student ID card scanned copy or some document to verify that you are student to student – at – xamarin dot com. Sit tight and we will start developing cross platform application from next post onward. Previous Previous post: Xhackers Hackathon – The best event I ever attended!